This program is for paddlers who are new to the sport of sprint canoe/kayak. The learning objectives of this program include becoming familiar with sprint boats and equipment care, working on balance, and building an understanding of paddling technique through drills and workouts. 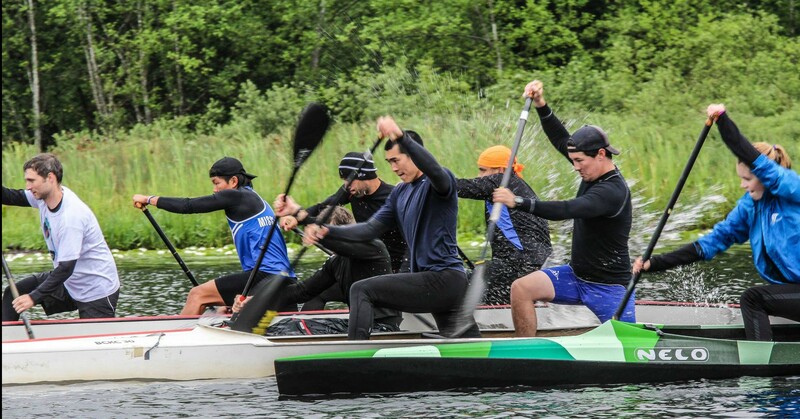 Paddlers will also have opportunities to try team boats and participate in local races! Initial practices will be held inside Alder Bay but may extend outside of the bay, as paddlers become more comfortable. If you would like to additionally paddle outside of our scheduled program time and the coach feels like you can handle taking a boat out on your own, you will need to purchase a club membership. If you are planning to race at any regattas this year, race fees and your $45 CKBC insurance fee will be collected separately. Come find us at the Canoe/Kayak boat shed next to the tennis courts and parking lot. To find this, starting from the False Creek Community Centre, walk along the boardwalk so that the tennis courts are on your left and water on your right. Once past the tennis courts, there will be a boat shed just on your left. You can change at the community centre, and leave your stuff in the boat shed since it will be locked up. There are also lockers available in the community centre. Equipment: Paddlers require a surfski, paddle and PFD. The club currently has a limited number of club surfskis that are available on a first-come-first-serve basis. If you do not have your own surfski, please contact Connor Curson, the coach, at adult.flatwater@fcrcc.com before registering so that we can ensure there is enough club surfskis available. Location: Group will meet at FCRCC’s Alder Bay dock at Granville Island. We will paddle in False Creek and English Bay, depending on the session goals and weather/water conditions. For paddlers who have sprint paddling experience and want to use club boats to paddle must do a club orientation and session first with Head Coach Diane before taking out boats on their own. Please email flatwater@fcrcc.com to setup an orientation session and introduce yourself! Membership: You must be a member of the club to paddle. Please see Individual Membership for details on getting your membership. If you are planning to race at any regattas this year, race fees and your $45 CKBC insurance fee will be collected separately.